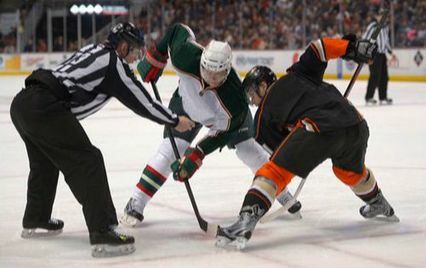 It establishes possession of the puck and even a novice player knows that puck possession is one of the KEYS to the game of hockey. To go back, or not to go back? Go to the forehand? Use the backhand? Tie up the opponent? Go for the outright win? Pass back? Move the puck to the left or right? Shoot right off the draw? How much time is left on the clock? Cover up, eliminate my opponent? Play it defensively or should I create a scoring chance? These are just some of the questions asked before each and every draw. The common denominator here is one thing...... What should I do? Allow 16 Year NHL Linesman Vaughan Rody to teach you the Art of this trade.